Palestinians have struggled against Israel’s Wall in the occupied West Bank and East Jerusalem for the past eight years. In July 2004, the International Court of Justice (ICJ) affirmed that the Wall and Israel’s occupation regime were in violation of international law. Al-Shabaka policy advisor Jamal Juma’, who has served as the coordinator of the Palestinian Grassroots Anti-Apartheid Wall Campaign since 2002, examines how and why the Wall was established, discusses the implications of the Court’s decision, and concludes with policy recommendations addressed to different sectors of Palestinian society and the international community. Israel began constructing the Wall in June 2002 following its invasion of cities in the West Bank, which it dubbed “Operation Defensive Shield.” In retrospect, the invasion appears to have been a prelude to the construction of the Wall and no one recognized the significance of the invasion’s code name at the time. The immense scale of the 2002 invasion -- characterized by the destruction of Palestinian civilian infrastructure, mass arrests, assassinations and massacres -- ensured that the construction of the Wall would commence with as little resistance as possible. Accompanied by hundreds of military checkpoints, the Wall solidified the dismemberment of the West Bank’s major population centers into Bantustans, separated from each other and segregated from occupied East Jerusalem. Israel’s actions were intended to enhance its control over the Palestinian people and block the establishment of a Palestinian state. 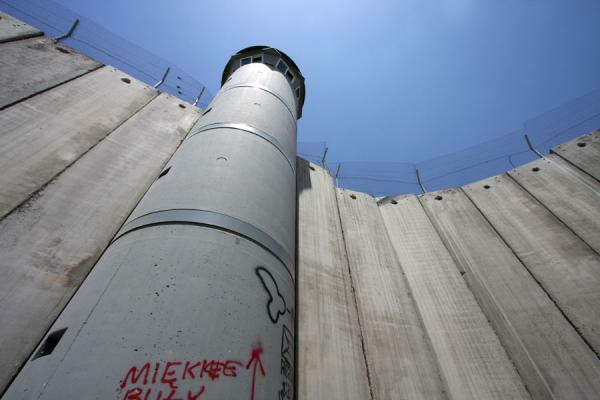 The Wall intentionally blurs the “Green Line,” the internationally recognized armistice line between Israel and the occupied West Bank, thus over-riding international law and United Nations Security Council Resolutions relating to the Occupied Palestinian Territories (OPT). Instead of relying on international law, Israel has substituted negotiations over “disputed” territories for which it sets the terms under an American shield (See Mouin Rabbani's policy brief). The Wall, which will reach 810 km in length, isolates 46% of the occupied West Bank and divides it into three large cantons and 22 small Bantustans. It cements Israel’s control over 82-85% of Palestinian water resources in the OPT. A 1,400 km road network is dedicated exclusively to Israelis and separated from Palestinian roads by 48 tunnels. Industrial zones, agricultural areas and crafts workshops have been established along the Wall. These Israeli, joint, and international ventures aim to transform the Palestinian people into a cheap labor force dependent on the Israeli economy. Raw materials and exports are entirely Israeli while the capital is international, Israeli, and Palestinian. Grassroots and peaceful resistance against the Wall started three months after construction began. The delay was due in large part to the impact of the 2002 invasion on Palestinian society. Popular committees were formed in the villages and cities of the northern West Bank where the first stage of the Wall was under construction. Activists organized events, documented damages and violations, and organized international campaigns, communicating and coordinating with international solidarity activists who formed human shields at key areas around the West Bank. Dozens of rallies and activities were organized in the towns and villages across the northern and central West Bank. These protests occurred throughout the week and were coordinated with visits by international solidarity activists. However, the Palestinian Authority (PA) remained indifferent to these activities, angering many Palestinians. The PA’s silence was particularly glaring given the numerous letters and appeals by farmers, local councils, and popular committees for a response. Eventually, the indifference of the elected leadership raised questions and cast doubts among Palestinians and two rallies were organized outside the Prime Minister’s office to protest this stance. Following the 2003 conference convened by the UN Committee on the Exercise of the Inalienable Rights of the Palestinian People in New York, the Grassroots Palestinian Anti-Apartheid Wall Campaign met with Nasser al-Qidwa, the Palestine Liberation Organization’s (PLO) permanent observer at the UN. The Grassroots Campaign provided al-Qidwa with a detailed power point presentation about the Wall and its consequences for the "peace process." Al-Qidwa took action and coordinated with international organizations, seeking information from the committees, civil and formal institutions, and international institutions that monitored Israel’s violations in the OPT. 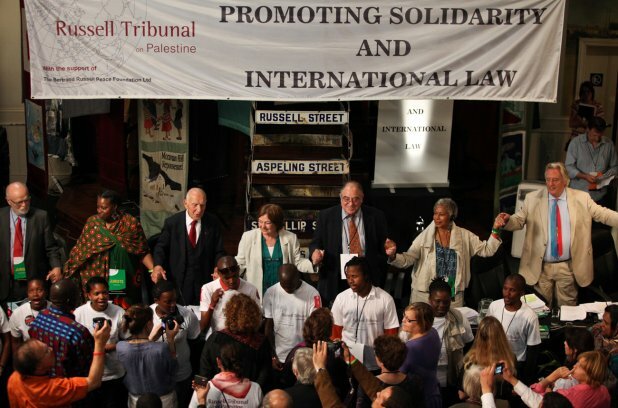 Before the ICJ was due to announce its ruling in July 2004, then member of the Israeli Knesset Dr. Azmi Bishara organized a sit-in in cooperation with the Grassroots Campaign. A tent was erected at the northern entrance to Jerusalem and stood for 10 days, attracting hundreds of solidarity delegations and popular committees from across historic Palestine as well as foreign and international organizations, diplomatic missions, and dozens of media outlets. The tent was packed with hundreds of people around the clock and lectures and presentations were organized. However, the PA abruptly and violently shut down the tent. The PA claimed that the tent was no longer needed after the ICJ passed its ruling on July 9, 2004. In reality, the tent was becoming a source of embarrassment to the PA because it was attracting attention in the media and the public. The ICJ also found – by a vote of 13-2 – that the international community was obliged not to recognize the situation resulting from the construction of the Wall or to provide assistance to maintaining the status quo. It is interesting to recall that a similar conclusion over three decades ago with regard to South Africa’s occupation of South West Africa led to sanctions against the apartheid state. The advisory opinion has had implications at both the official and popular levels. In spite of the victory at the ICJ, PA officials have deliberately disregarded the advisory opinion. 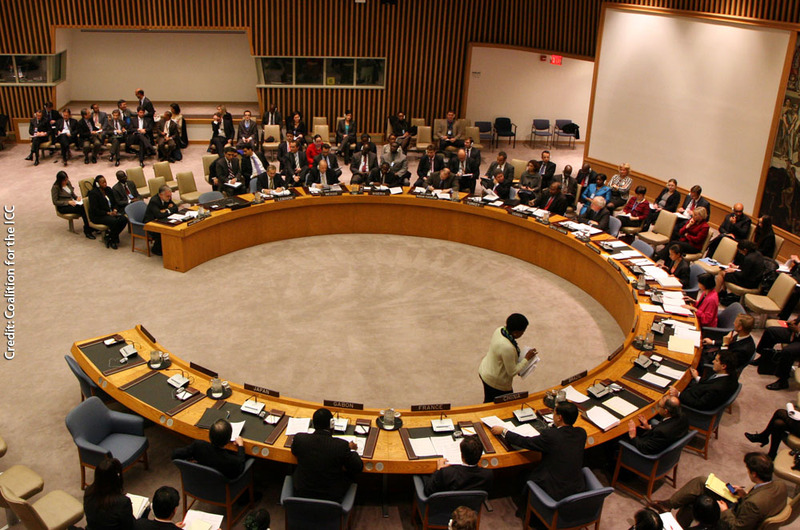 Each year they justify their negligence by maintaining that the political circumstances are unfavorable and that the Europeans and the Americans would not support their request to resort to the UN Security Council. While it is evident that there is considerable pressure from Israel and the U.S., the PA has not utilized the advisory opinion as an effective bargaining chip. Instead of relying on international law it has continued to bet on the negotiations sponsored by successive American administrations. Thus, the PA is caught in a vicious cycle: The very negotiations that they rely on for international recognition are used by the U.S. and Israel to pressure them to abandon Palestinian rights. On the first anniversary of the ICJ opinion the Palestinian Call for Boycott, Divestment and Sanctions (BDS) was launched by 171 Palestinian coalitions, associations, trade unions, and organizations within and outside historic Palestine. This Call, which is the first Palestinian consensus document since the founding of the PLO, seeks to boycott and impose sanctions against Israel to ensure its compliance with international law. Over the past five years, the BDS movement has grown in size and strength around the world and has become the international reference point for all solidarity initiatives and movements globally (See Omar Barghouti's policy brief). The BDS call has been followed by subsequent declarations such as the 2009 Kairos Document issued by a coalition of Palestinian churches that called on churches around the world to boycott Israel. 3 Moreover, these actions by Palestinian civil society were welcomed by international solidarity groups who were eager for a non-official Palestinian grassroots initiative. The PA must end its compliance with U.S. dictates and fully engage in the international battle against Israel as an occupying state, demanding that the UN Security Council and General Assembly implement the ICJ’s advisory opinion as well as other relevant resolutions. 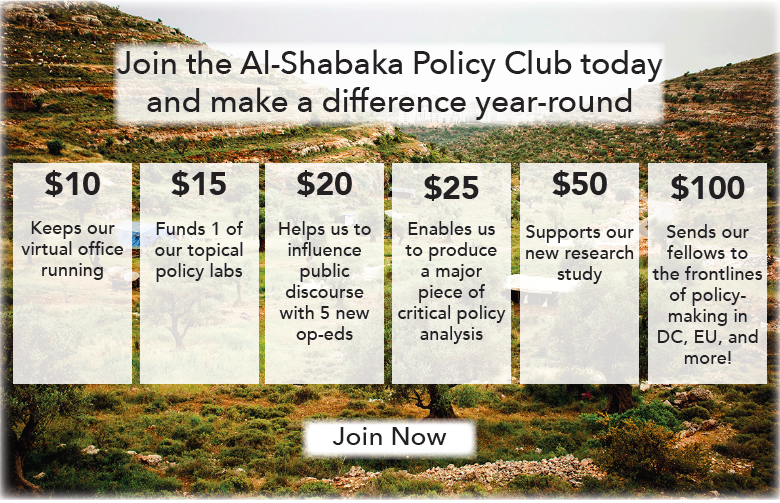 Al-Shabaka Policy Advisor Jamal Juma' is a founding member of the Palestinian Agricultural Relief Committees, the Palestinian Association for Cultural Exchange and the Palestinian Environmental NGO Network. Since 2002, he has been the coordinator of the Palestinian Grassroots Anti-Apartheid Wall Campaign. He has been invited to address numerous civil society and United Nations conferences. His articles and interviews are widely disseminated and translated into several languages.